Galaxy is re-opening today. That’s good. Pennylane are currently closed but hope to reopen in the same building, once buildings either side have been strengthened / demolished. Our Sydenham store is currently CLOSED but on a very positive note we will be back in business as soon as we can! We are waiting for the Angus Donaldson building which is beside us to be demolished which started on Saturday. Once this is completed we can assess where to from here. We have explored a number of options but ideally we want to re open in our existing building ASAP. Real Groovy is perhaps less fortunate. Apparently, their sprinkler system thought it was a fire, and went off, doing considerable damage to their stock. They will be back, but probably not at that site. Keep up with the latest info, via a facebook page that they seem to have neglected. AL’s Bar survived with no damage or loss of product or gear. Goodbye Blue Monday will be open from tonight (Wednesday the 15th). Only one entrance – from High St, the alleyway next to Roneo. Concrete Club / Double Happy – both fine in terms of structural damage, but unable to open due to the fence around the outside. Not sure when that will be removed. Trying to find out from the bar manager what the deal is – but I still can’t find out when I’m going to be able to go back to my place, which is in the same building. I’m gonna assume it will be around the same time – hopefully by the weekend. The Dux – has remained open almost uninterrupted. Had gigs last weekend. Brew bar was closed but tavern bar fine. The Repertory – I got a message from twitter from Lawrence Arabia saying that he had been in contact with someone from the Rep, and that it wasn’t a goner, that they would try and rebuild. Now that is quality journalism, but currently, it’s the best I’ve got. So finger crossed, though we may need to have a few more earthquake strengthening fundraisers. Harbourlight – could be open as early as next week! Strengthening work being done. I think everyone has to be stoked with that. 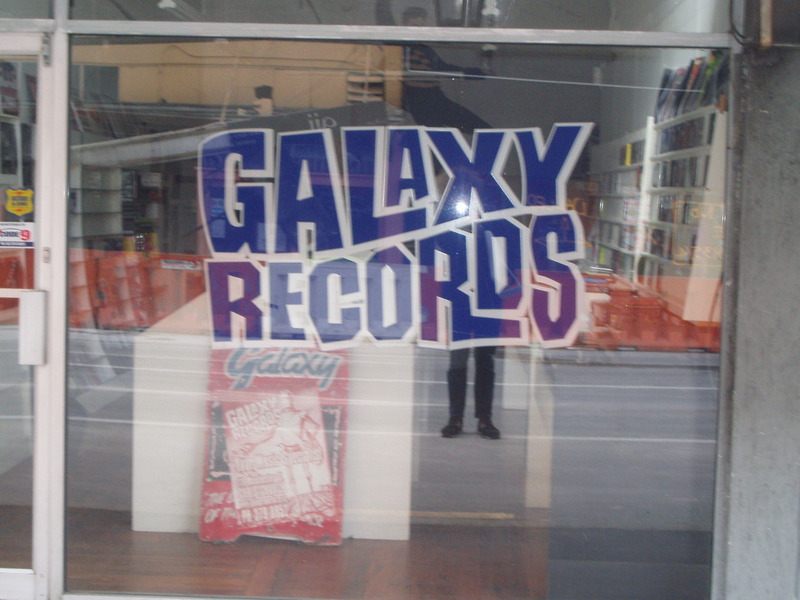 After this weeks’ earthquake, Galaxy Records is ok but has limited access & cannot open. 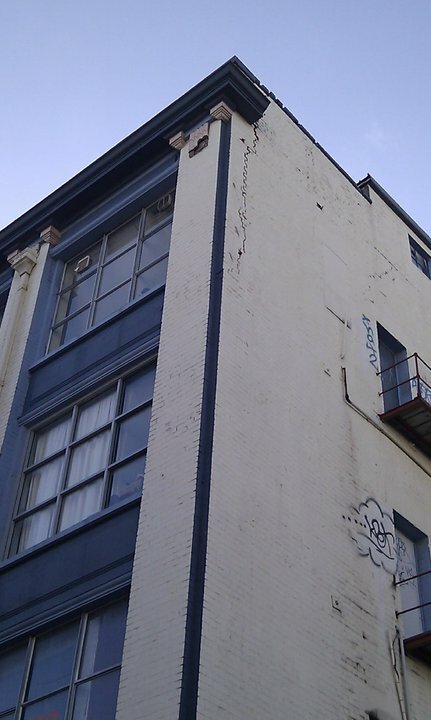 There’s a crack down one corner of the building that needs to be repaired. Otherwise, building looks intact. I should be able to reopen once civil engineers, insurance assessors…, landlord etc all give the go-ahead. This could all take some time – watch this space! Notwithstanding how lucky we are in relation to others – our own personal position is that we have this afternoon had to inform eight or so different businesses that the building they called “home” is no longer habitable and that they have to vacate immediately. Our own businesses C4 Coffee, Diversity Limited and Cactus Climbing are included in this and we’re faced with finding a new factory, office space and a location for a coffee roastery and retail store – all the while worrying what the hell is going to happen with our beautiful century old building. The Sitting Room is also in that building, and they have announced that they will be leaving the building today. I caught a status update on facebook that suggested that Real Groovy records are ok, but will be moving premises. Finally, I ran into the owner of Double Happy and The Concrete Club in my stairwell (Double Happy being in the same building as my house.) He said both clubs were fine, but wasn’t sure when they would open. There is some risk that a part of the White Elephant building may topple down and land on Double Happy – which is because of the aftershock on Wednesday morning I think. However, when I was talking to him, it became really clear just how difficult it will be for small business owners to get up and running. Though the buildings themselves are fine, they are within the cordon zone, and there are a number of buildings close by that will have to be demolished. Because of the damage to the buildings around the area, it could be weeks, or even months, till places like this are able to open. Even if they could open, are people going to come back? I hope so. I really do. Some of you might know that I am a sort-of musician, and because of this, lots of people from around the country and the world have been getting in touch with me to ask how particular venues are coping. The problem is that information is very changeable, and is often revised after each aftershock. Of which there have been many. There are a number of rumours out there about all sorts of thing at the moment, and some of this post may just be covering those rumours. The truth may be out there … but it’s a moving target. The final arbiter will be the owners of each building – who I haven’t talked to myself. 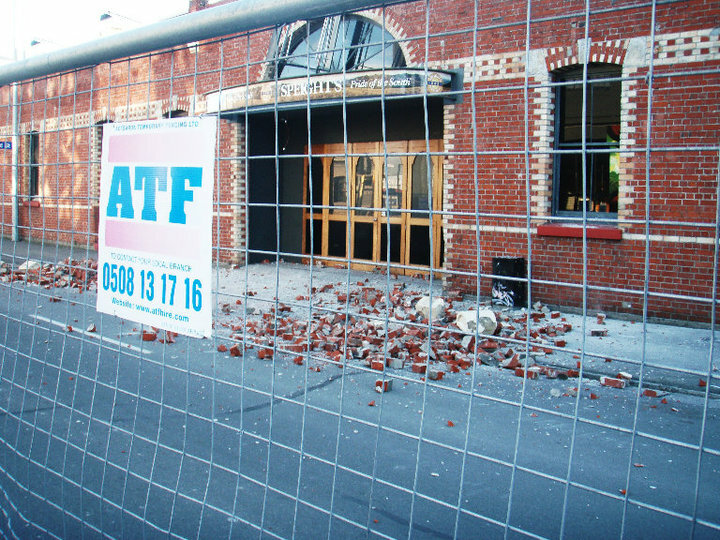 The Repertory Theatre on Kilmore St has been one of the most high profile casualties. Much of the facade has fallen onto the street, which is a great shame. 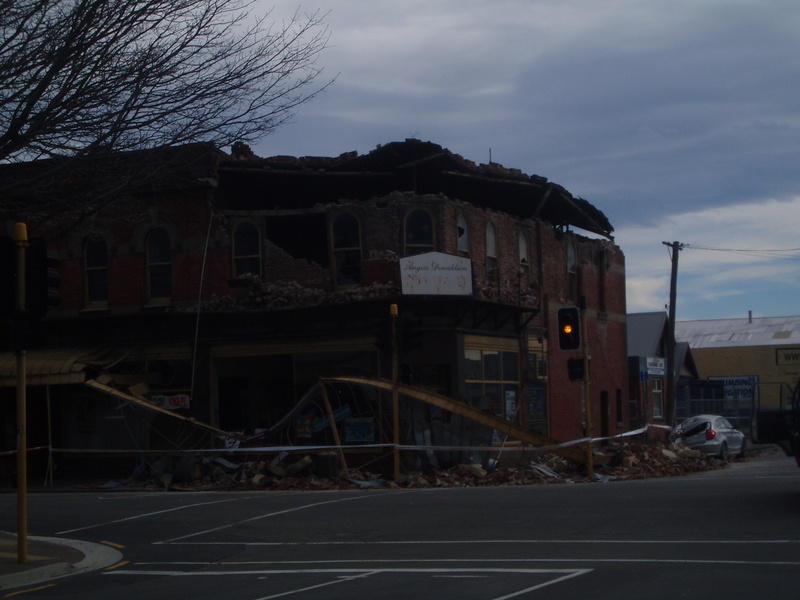 There had been much of an effort in the last few years to raise funds for earthquake strengthening for the building – which sadly hadn’t started. Anna Crighton from the Historic Places Trust was on Close Up last night, suggesting that it could be rebuilt, but given the degree of the damage, I’d say it’s highly unlikely. The Dux was open on Saturday afternoon, which would suggest that they didn’t suffer much. Though whether it was necessary to open such an ‘essential’ service as a pub in a part of town that is next to so many important buildings – such as the quake HQ at the art gallery – is an open question. There are a number of venues or former venues that I don’t have any information about at this time: The Media Club, The Civic, AL’s Bar. The Media Club has been looking a bit shabby for some time, and that may mean that it wasn’t in the best shape for an earthquake. The Civic and AL’s are both brick buildings, and you’ve gotta wonder – although I went past AL’s, and didn’t see any obvious damage. Goodbye Blue Monday have been updating their blog with frequency and detail since the quake, and say that they are fine. That’s great, but while they are hoping to open on Friday, I will believe it if I see it. There is extensive damage to the building next to them – the old High Street Project – and it wouldn’t surprise me if it was either too damaged to be saved, or if the extent of the damage meant that it and the surrounding buildings were going to be cordoned off for sometime. I’m not trying to be overly negative – but the uncertainty with Manchester Courts has led to other buildings on the same block being closed off. So fingers crossed for GBM and that area – and keep an eye on their blog. I’m trying to find out info about Chch / New Zealand’s best record store, Galaxy Records, but don’t have anything right now. The buildings directly opposite Galaxy are some of the worst hit in Christchurch – fortunately, Smiths had recently moved down the road a bit. Peaches and Cream has lost a few letters from the shop name – it’s now aches and Cream, which could prove to be more useful! And there have to be massive worries about the old Odeon Theatre, which was in dire need of some earthquake strengthening. I would be a little concerned for Christchurch’s second best music store, Penny Lane Records, which is in the historic (read: run down brick) part of Sydenham. Colombo St, from Brougham to Moorehouse Ave, is very badly damaged, as most of the buildings were single or double story and brick. It hasn’t been the most popular area of town for a couple of decades, so not much money has gone into keeping these buildings up to date. The building in the picture below is the one with Penny Lane, though it is about four shops to the left of the corner. I would fear for it though, as the whole building will probably have to go. Maybe opening on Saturday wasn’t the smartest thing to do? Will update as more info comes to hand – and will probably try and do a post on the Lyttelton situation too.